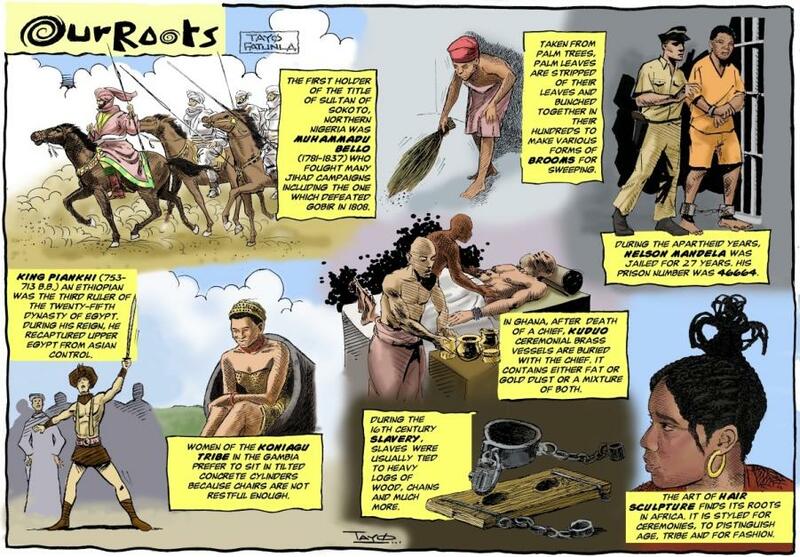 “Our Roots” is an Illustrated educational and informative Comic art by TAYO Fatunla that documents various stages in the history of the black race featuring black achievers in the US, the UK, in Europe and in Africa. This Black History month in the US, “Our Roots” will highlight Black people, places and things that have helped shape the world history as we know it today. This inaugural feature for EURweb highlights African History. Nelson Mandela said “Education is the most powerful weapon which you can use to change the world.” “Our Roots” tries to do just that.